Microsoft has released an update for Windows 8.1 and Windows Server 2012 R2 that is somewhat of a cross between a Cumulative Update and a Service Pack. Microsoft is calling this update “Windows Server 2012 R2 Update” which is sort of a silly name. I would have preferred something like “Windows Server 2012 R2 Update 1”, since there are rumors of another update like this coming out later this year (at least according to Mary Jo Foley). This update is primarily designed to make both of these operating systems easier to use for mouse and keyboard users (even though Windows Server 2012 R2 is already easier than Windows 8.1). The update does make it even easier to use Windows Server 2012 R2 if you are more used to working with Windows Server 2008 R2. It also includes a rollup of previous updates for Windows Server 2012 R2, so it will save you quite a bit of time compared to pulling those updates down from Microsoft Update. You can also use a slipstream version that Microsoft has made available if you are doing a new operating system installation. You can read more about the Windows Server 2012 R2 Update here. Adin Ermie has a nice blog post with lots of before and after screenshots here. The update is already available for MSDN Subscribers Downloads, and Microsoft is going to make it available on Windows Update on April 8. I have installed it on a few VMs already without any problems. One initial question I had was how to quickly and easily determine whether the update was installed or not, since it does not show up in System Properties like a Service Pack would. It turns out that there is a somewhat easy method to find out, by running Msinfo32.exe. 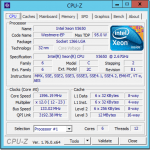 To confirm the exact version of Windows Server 2012 R2 that is installed on a computer, run Msinfo32.exe. If Windows Server 2012 R2 Update is installed, the value reported for Hardware Abstraction Layer will be 6.3.9600.17031. You can also look for KB2919355 under installed updates. Hi Glenn… Has a new update been made available for Windows Server 2012 R2 since this article was published? Thank you! 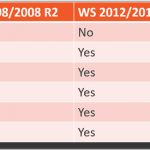 Multiple, optional rollup updates have been released for Windows Server 2012 R2 since this article. There have not been any Service Packs though. My general advice is to let Windows Update and Microsoft Update install every update that they think you need, especially on a new server you are getting ready to use. Thanks Glenn. Is there a link available on Microsoft’s website of all the available updates for Windows Server 2012 R2? Yesterday I attempted to install SQL 2016 on a Windows Server 2012 R2 VM. The installer refused to proceed, saying KB2919355 is required. I thought I had run Windows Update, installing all recommended updates. Is KB2919355 not installed by Windows Update? I’ve just been trying to set up a SQL Server 2016 test server on a Windows Server 2012 R2 Std VM and the SQL 2016 setup process does a check for KB2919355 and that check fails, even though I’ve checked for Windows Updates several times. I installed Windows Server 2012 R2 on the VM by installing from this ISO file “SW_DVD9_Windows_Svr_Std_and_DataCtr_2012_R2_64Bit_English_-2_Core_MLF_X19-31419.ISO”. The interesting thing is after installing Windows, it only finds 40-ish updates to install instead of over 100 like I would expect and that I’ve seen previously on Windows 2012 R2 VMs. Any thoughts? Thanks.